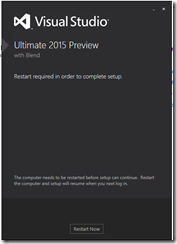 Installing SharePoint 2013 SP1 in a CloudShare environment and what’s new in the box! 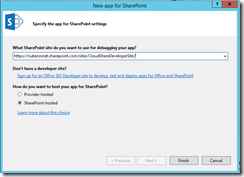 Microsoft has recently released the Service Pack (SP) 1 for SharePoint 2013. In this article I will show you how easy is to install the first SP for SharePoint 2013 and also some of the new goodies coming with the platform. Let’s start. First, you need to download the SharePoint 2013 SP 1 from the Microsoft Download Center: http://www.microsoft.com/en-us/download/details.aspx?id=42008. Once you have downloaded the SP 1, double-click the installation file in order to start the installation wizard. In the first wizard screen, just select the check “Click here to accept the Microsoft Software License Terms” and press the “Continue” button. 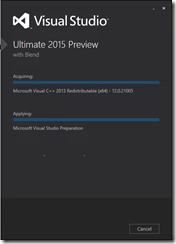 The installation process will start extracting all the required files for installing the SharePoint 2013 SP 1. 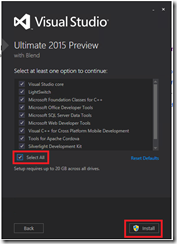 Once the required files are extracted, the process will apply the update to your SharePoint 2013 server. Since the installation process is quite long, I recommend you to be patient and do some other stuff while the update is being applied. First, you will see a message telling you that you can choose to use Yammer and OneDrive for Business via Office 365 vs. using out of the box capabilities. SkyDrive link in the top navigation bar has been replaced by OneDrive link. Finally, there is a new section in the SharePoint 2013 Central Administration called Office 365. This section allows you to configure your SharePoint 2013 farm to use Yammer and OneDrive for business in Office 365. After reviewing this document, go back to the SharePoint 2013 Central Administration and click the “Configure Yammer” link in the Office 365 section. You will be redirected to a configuration page that allows you to replace the out of the box SharePoint 2013 capabilities by Yammer ones. You only need to press the “Activate Yammer” button. After doing this action, you will see that the “Newsfeed” link on the top navigation bar is replaced by “Yammer” what means that when you click this link you will be redirected to Yammer. So, don’t expect to have a real integration between SharePoint 2013 On-Premise and Yammer L.
Finally, the other new capability added by SP 1 to SharePoint 2013 is the possibility of using OneDrive for Business instead of OneDrive for SharePoint Server. As you will see in the configuration page, you only have to specify the SharePoint Online MySite URL where you have available OneDrive for business. 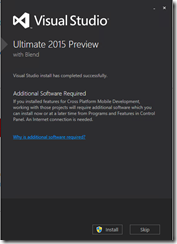 And that’s all about how to install SharePoint 2013 SP 1 and some of the new things coming with this first SP. Happy CloudSharing!